Lupe Sanchez and Jacqueline Delgadillo have a lot in common. Both were born in Mexico and were brought across the border into the United States as small children, without documents. Both did well in American public schools. And both were given at least temporary protection from deportation under the Obama administration’s Deferred Action for Childhood Arrivals, or DACA, policy, which applies to some undocumented immigrants who arrived before they were 16. Then their paths diverged dramatically — mainly because of where they live. Sanchez grew up in California, where tuition and financial aid policies encourage undocumented students to enroll at public colleges and help them afford it. She’s now a freshman psychology major at UCLA and gets substantial state aid for her tuition and other costs. Delgadillo’s family settled in Georgia, which has some of the most restrictive rules in the nation for undocumented students, even banning them from attending some public universities. She has delayed starting college for two years and now hopes that a private, out-of-state school will accept her and provide her scholarships. Political dysfunction has deadlocked a national DREAM Act that would, among other things, make federal loans available to some undocumented students and make it easier for states to charge them lower in-state tuition at public universities and colleges. But an increasing number of states have already extended those benefits, and even added scholarship support. In California, an estimated 1,100 undocumented students study at the two most coveted campuses, UCLA and UC Berkeley — four times as many as before they qualified for state financial aid. The contrast among them, however, illustrates the fractured national picture — and difficult personal dilemmas — facing undocumented immigrants who aspire to go to college. Some state legislatures and university governing boards continue to be roiled by questions of whether longtime resident undocumented immigrants should be charged sharply discounted in-state tuition rates, or, like out-of-staters and international students, pay double or three times as much. Several lawsuits on the matter are in state courts; in February, the Georgia Supreme Court upheld the higher tuition when it ruled that the higher-education governing board could not be sued by immigrant advocates. Debate also continues over whether the undocumented, with or without DACA status, should be eligible for state financial aid. That’s important because no undocumented students can get federal Pell Grants or, without a national DREAM Act, federal subsidized loans. Opponents of such aid say it might encourage more illegal immigration, and that public resources are limited. Missouri, for example, has placed restrictions on tuition discounts and aid to undocumented students at state universities and colleges. 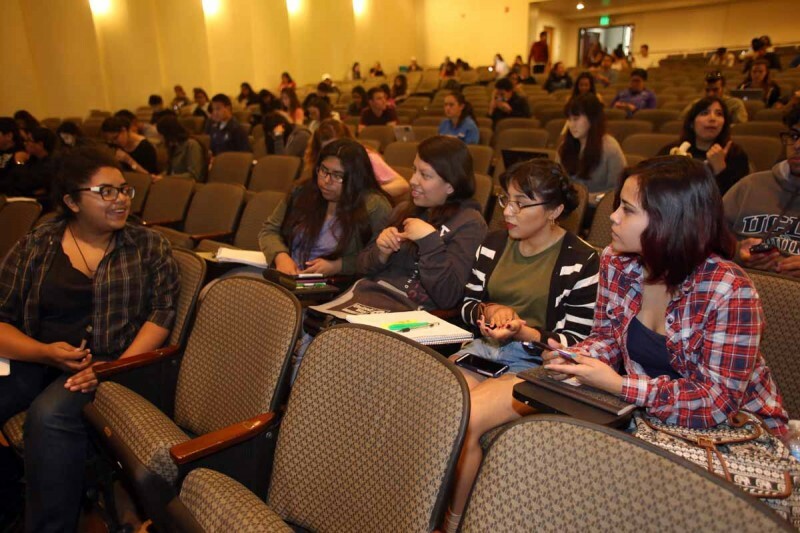 In the fall, the state legislature overrode a gubernatorial veto and passed a law forbidding even immigrants with DACA protection from getting scholarships toward community college tuition. 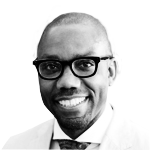 Advocates for such aid contend it makes no sense to put educational barriers in the way of people who came to the United States as children, and that undocumented immigrants can help the nation meet its goals of increasing the proportion of the population with degrees — goals toward which the nation is falling behind. Many policymakers seem to agree. The recent trend has been for more states to adopt so-called “tuition equity” allowing the undocumented to pay the in-state rates, according to the National Immigration Law Center, a pro-immigrant organization. All or some public colleges in 21 states offer such equity, a survey by the center found. At least six states — California and Texas being the largest — provide some financial aid to undocumented students who meet various criteria. 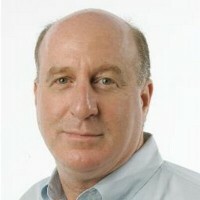 Some public universities in others, such as Hawaii, Illinois and Minnesota, offer aid that’s paid for by private sources. In states without explicit policies, some colleges quietly create their own “don’t ask, don’t tell” rules. “It’s definitely been a more positive trend,” said Tanya Broder, staff attorney at the immigration law center. More than 75 percent of foreign-born residents live in states with tuition equity across the board or at some major campuses, Broder said. 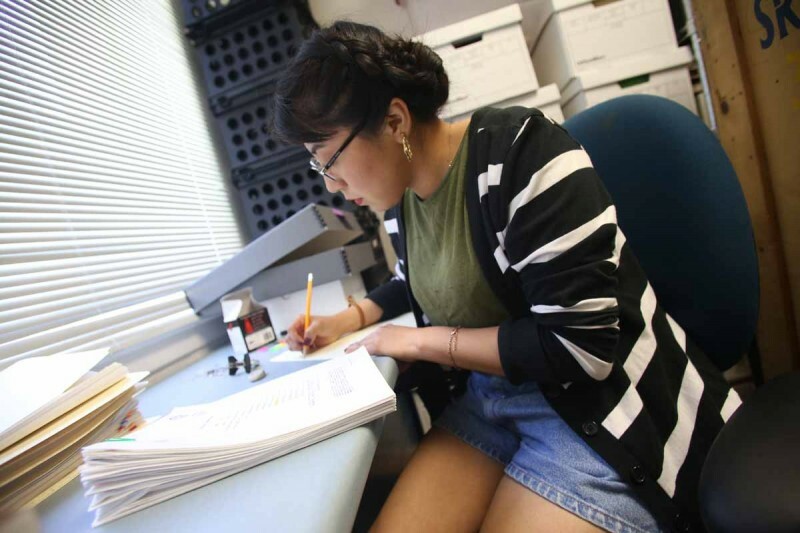 While solid national statistics are not available on the impact on this, she said it appears that significantly more undocumented students are studying at state universities than just a few years ago. In California, for example, university officials estimate that 1,100 undocumented students study at the two most coveted campuses, UCLA and UC Berkeley — four times as many as were enrolled before they qualified for state financial aid beginning in 2012. 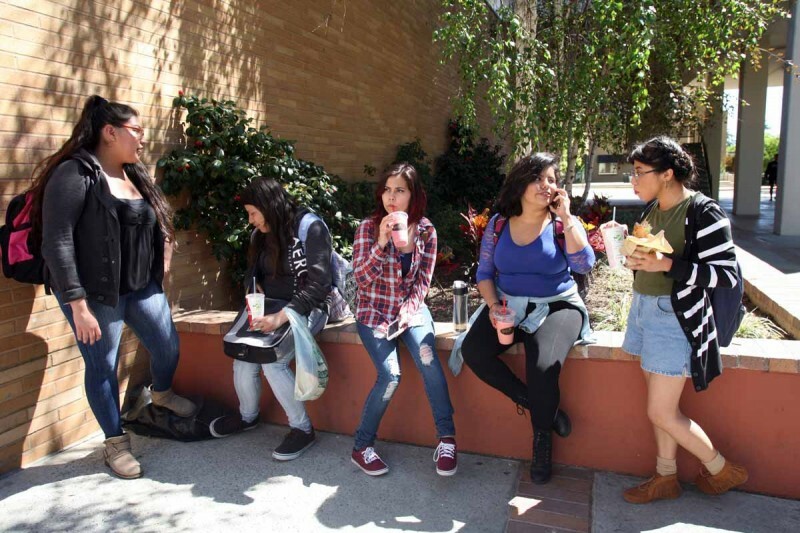 Just the hope of being able to afford to go to college may help reduce high school dropout rates and create high school climates where “the expectation is that everyone is at least thinking” about applying to colleges, said Broder. But restrictions seem firmly in place in some states, particularly in the Southeast. Georgia bans the enrollment of any undocumented students at its top five campuses, including the University of Georgia and Georgia Tech, and charges them higher out-of-state rates at its other campuses — even if they’ve lived there for the period of time required of other residents. At Georgia Southern University, that means $9,222 for tuition this year, compared to $2,613 for people recognized as in-state residents. Immigrant students lost their court challenge to this rule. In the Atlanta area, an organization called the Freedom University offers undocumented young people college-level classes along with SAT prep, college counseling and financial support. The program is unaccredited, meaning that the credits can’t be transferred or used toward a degree. 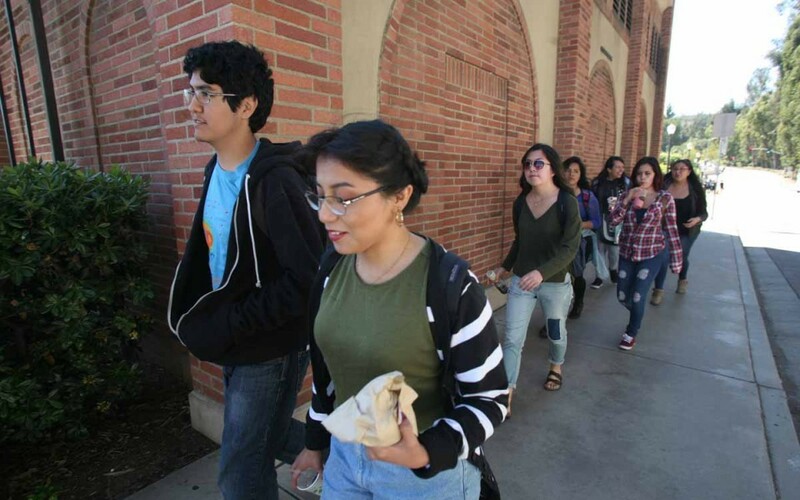 But many of its students go on to attend private colleges, often in other states, that offer financial aid, said Laura Emiko Soltis, executive director. The result, she said: a “brain drain” out of Georgia. That’s precisely the reason six state senators have given for sponsoring a bill, introduced in January, that would reverse Georgia’s restrictions on undocumented immigrants. When Delgadillo graduated from high school in 2014, she said, she was priced out of public colleges and even a private one in Georgia that offered some aid, but not enough. Her father who works on road construction and her homemaker mother don’t have the money to pay for her tuition. So she’s been taking classes and getting counseling at Freedom University, working at an ice cream store, and applying to out-of-state private colleges. She hopes to major in communications and media studies. Many private colleges and universities will admit and award aid to undocumented students. But some categorize them as international students, which means there can be significantly less aid available compared to what U.S. citizens may receive, according to a survey by the National Association for College Admission Counseling. Meanwhile at UCLA, Sanchez has benefitted greatly from financial aid. 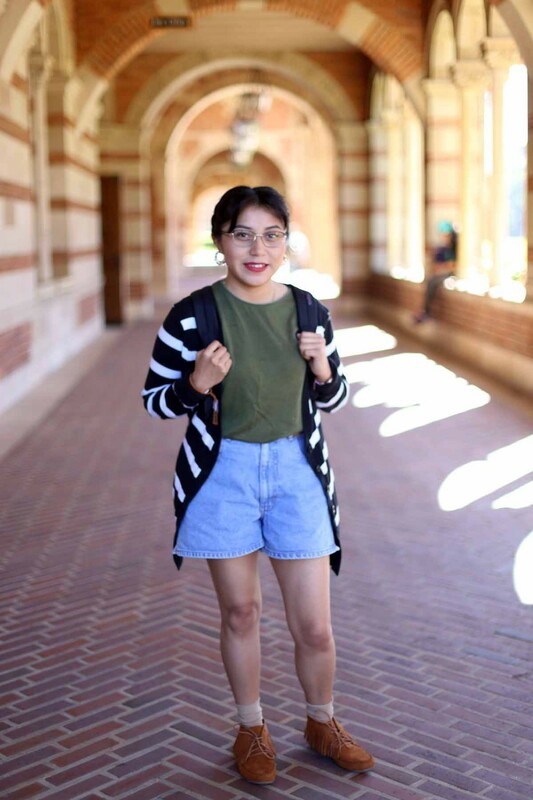 Without such help, the UCLA freshman from Los Angeles said she probably would have gone to a community college or worked for a while to save money since her parents — her father is a janitor and her mother is out of work — can’t afford to help much. She said she wishes students nationwide could get similar support. Are high schools preparing students to be college- and career-ready? Will controversial new tests for teachers make the profession even more overwhelmingly white?